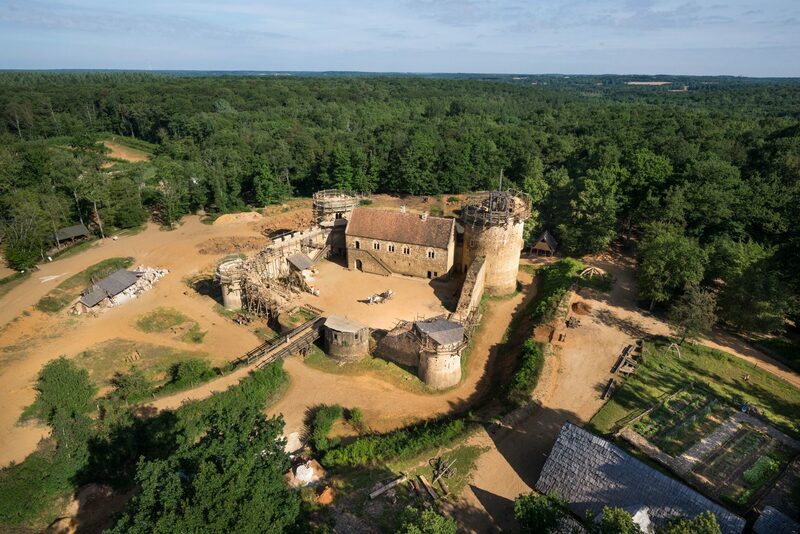 Hidden in the heart of the Poyaudine forest is a spatio-temporal portal that sends you straight back to the Middle Ages… At the medieval site of Guédelon. After, going trough the time hallway, you find yourself suddenly at the heart of a building site, but not any kind of building site: here people are building a fortress. For 20 years now, it’s a whole anthill that’s been around this castle under construction. 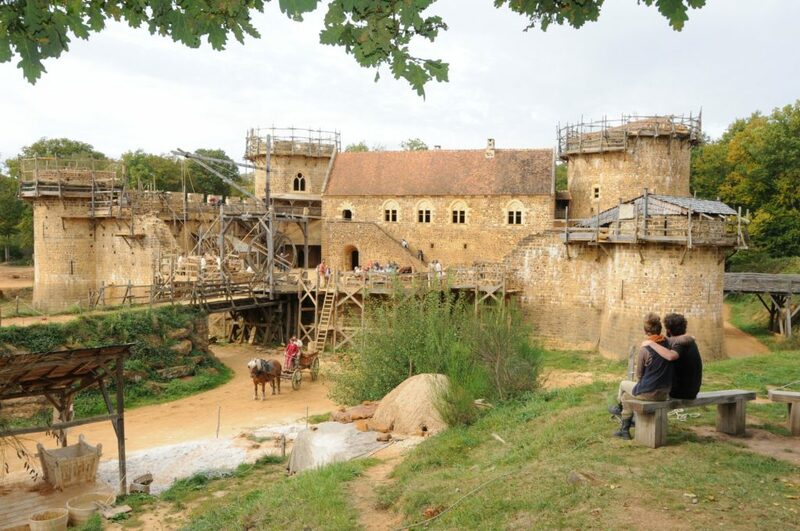 Did you know that Guédelon is a unique tourist site in the world ? That’s right ! Here craftspersons are talented ! Have a look at the glowing metal in the flames. That’s the blacksmith shaping tools for the stonemasons. And do you hear the stonecutters working on blocks of stone, just a few steps away ? Besides, do you know how to make these large blocks go up? 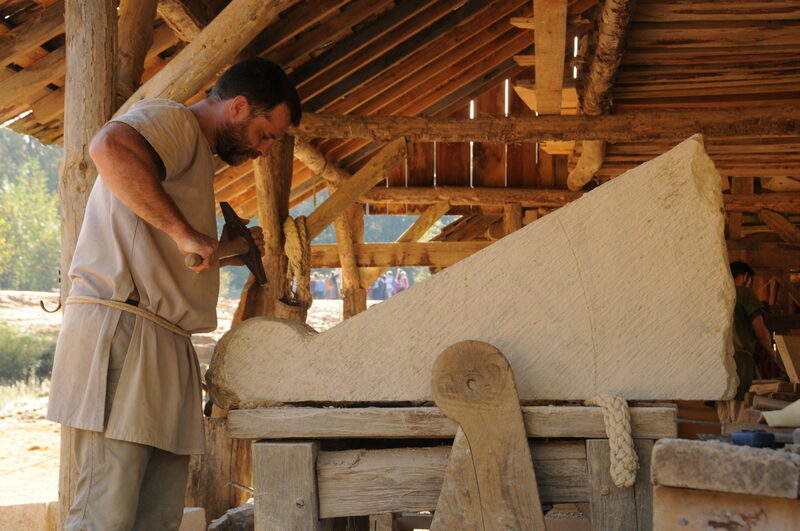 Well, do you see this wooden wheel over there ? It’s a human-powered medieval crane, we also call it a “squirrel-cage”. Further away lumberjacks are at work, and women are preparing pigments for the paintings that will decorate the insides of the castle. 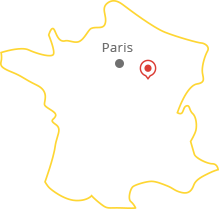 In Puisaye, many churches and chapels are decorated with Murals. Please make way for the carpenter and his draft horse! Indeed, there are many animals on the worksite : geese, pigs, donkeys and even dogs! 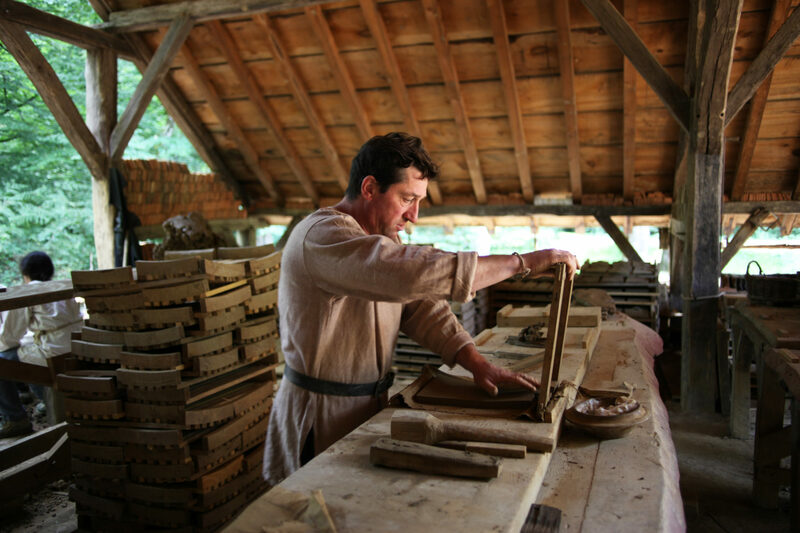 And many lines of work are represented here, there even is a miller who’ll tell you everything about his water mill and the making of flour. If you feel like it, you’re welcome to sign up for stone cutting and paving worshops. Well, going back in time is all very fine but don’t you feel hungry now? What about a nice dinner and beer at the tavern? You see it wasn’t a lie at all, you really went back in time and learned a lot from this life of yore. Young and old alike will make enriching discoveries from this journey through time. So are you ready to try it ?